Includes: Frosted polycarbonate station. One box of ASTM F2100-04 compliant, fluid-resistant face masks (50 masks). Two boxes of tissues . 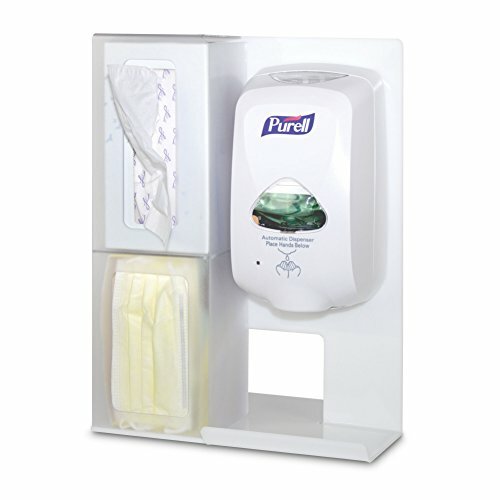 Purell® TFX® Automatic Wall Dispenser 1200mL Refill with soothing aloe.